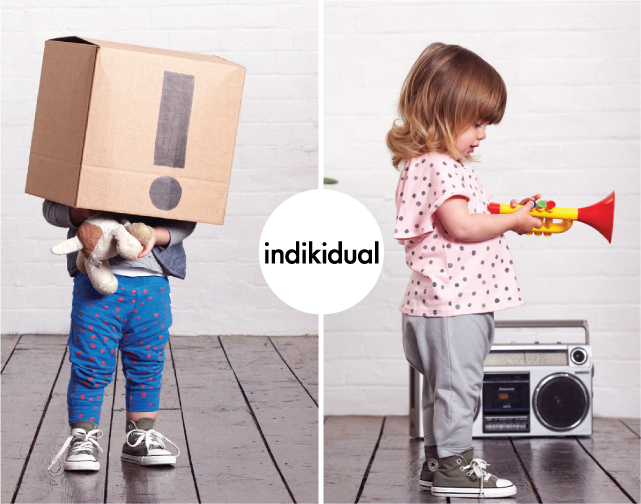 Indikidual is one of the new brands on the London block and its first highly anticipated collection for A/W 2012 should be in stores now! They are a unisex collection that embraces comfort while celebrating style. 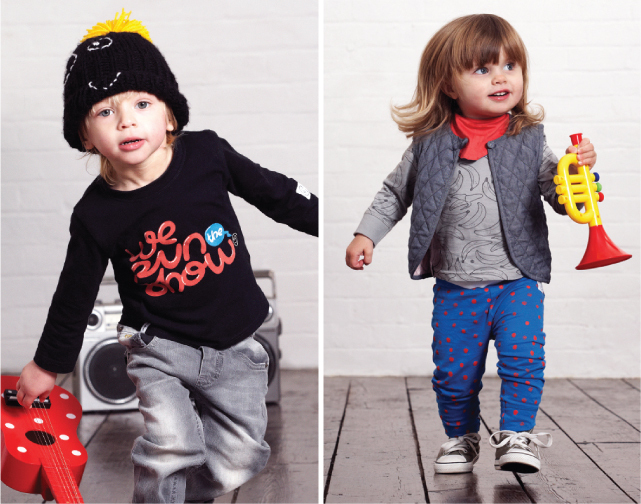 The range is designed for layering and encourages mixing and matching so that each little one can show-off their unique personality through fashion. Organic cotton knits in bright primary colors and minimalist style graphic and prints come together beautifully here. I especially love the signature banana print... which was inspired by a certain little one's love for them! 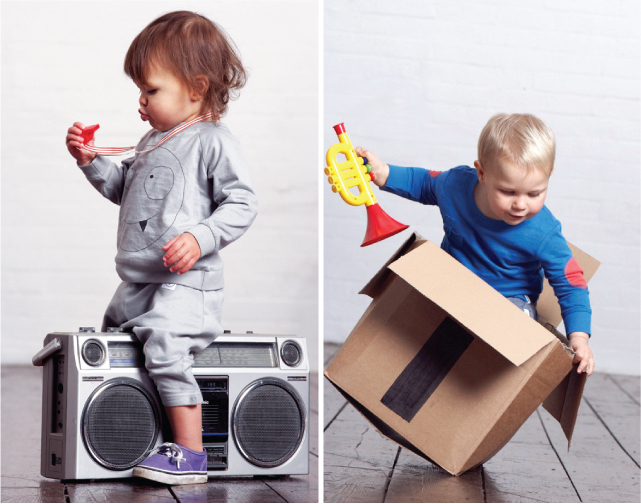 You can have a sneak peak at the behind the scenes footage from their A/W 2012 photo shoot here... a dance party indeed!